In 2011, Fukushima, Japan was due to a radioactive meltdown of a nuclear plant caused by an earthquake and tsunami. 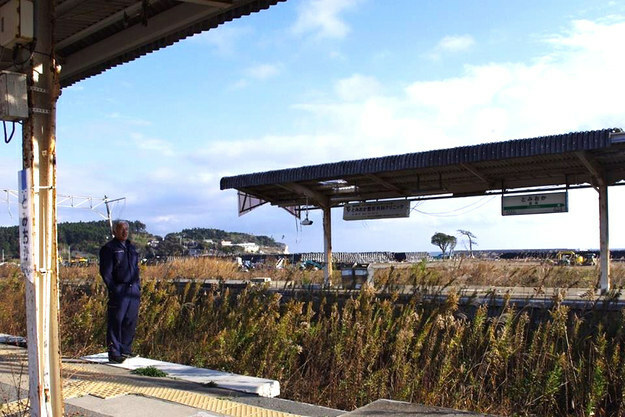 Matsumura in Tomoika station, which was destroyed by the tsunami. Around 30,000 people fled the zone, but most of the animals were left behind. 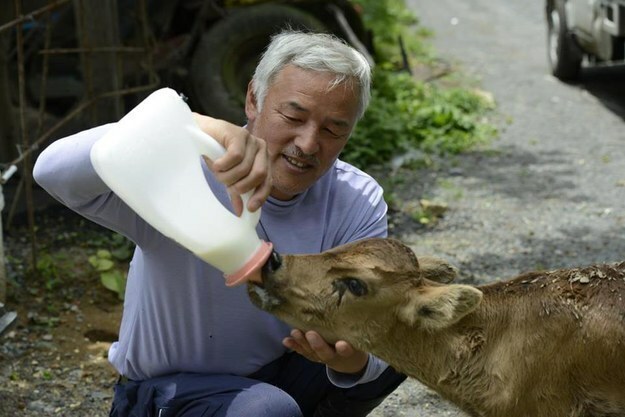 A farmer named Naoto Matsumura returned to take care of them. Matsumura says he initially evacuated with his family, but it was so difficult to find refuge he decided to return. It was then that he realized how many animals were left behind and needed help. He found that thousands of animals had died from being left in their barns or chained up without food or water. 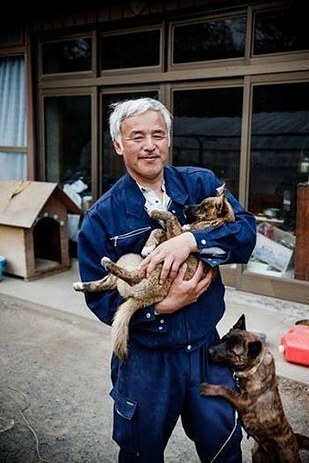 Matsumura, who is a former construction worker, built and repaired areas for the animals to reside in safely. 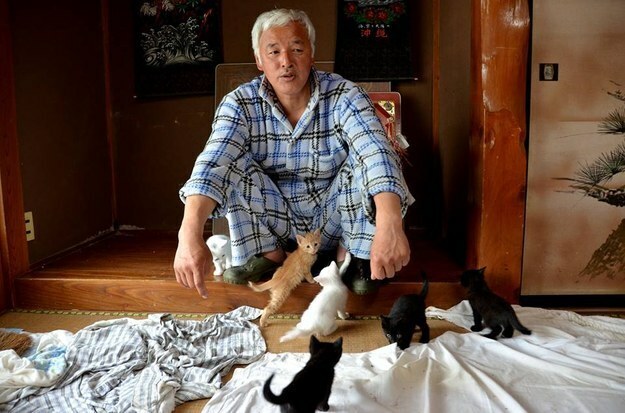 He spends his days exploring his deserted town, feeding and caring for the animals with money donated by supporters. 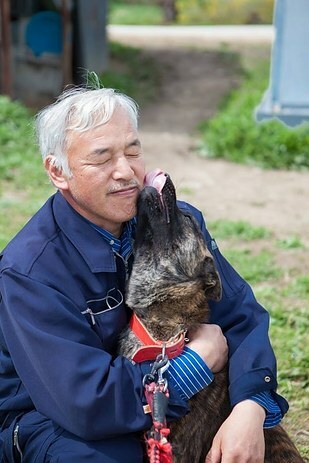 Matsumura mostly remains in the exclusion zone, but he often gives speeches and press conferences in outside cities to spread awareness about how his town has suffered, and gather support for his animals. “You could probably ride these,” he told VICE about his ostriches. 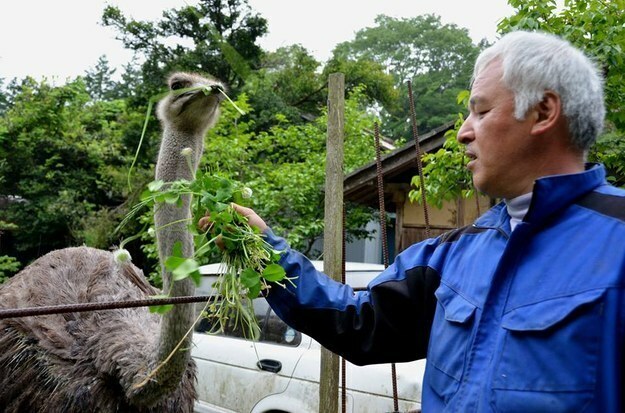 The 55-year-old told the BBC that he is aware he is constantly being exposed to radiation, but isn’t concerned, though he does only consume food grown outside Tomoika. The government issued him a warning to leave the exclusion zone, but Matsumura has remained there for over four years without wavering. 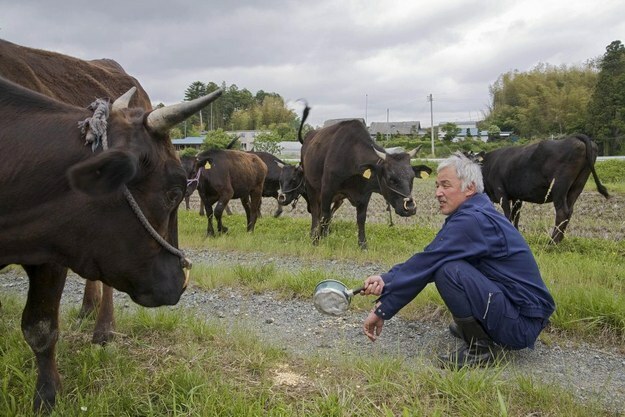 “The government is also attempting to have the cattle remaining in the contaminated area slaughtered,” Matsumura said.